Even a drop in prices approaching 1 percent on Thursday wasn't enough to prevent crude from holding onto near 2019 highs, and with West Texas Intermediate skirting $60 per barrel and Brent well beyond that figure, critics think the winning streak will continue despite a host of geopolitical hurdles lying in wait. 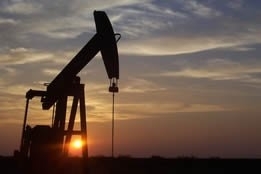 Bullish U.S. employment figures undermined by what Reuters referred to as a "lack of news events" prompted headline-hungry traders to cause Brent to fall 64 cents, or 0.9 percent, to settle at $67.86 per barrel; WTI fell 25 cents to settle at $59.98 per barrel. Thursday's trading performance revealed the healthy showing of crude in 2019 despite middling losses, and Ed Morse, global head of commodities research and managing director with Citi, told CNBC that "The market is a lot tighter than we thought it would be" party due to the Venezuelan sanctions and the Organization of the Petroleum Exporting Countries (OPEC) "taking a lot more oil out of the market than we thought they would be" - and that this combined with upcoming sanctions will cause oil prices to go higher than the current level. Stephen Schork, president of the Schork Group, agreed, and he predicted that prices could hit the mid to high $60s by year-end: "Oil demand right now is at its weakest" due to the refinery maintenance season, "but as we go into summer, those refineries will ramp up their demand, and hence with that increased demand I do expect that to be supportive of price." The familiar monkey wrench to the rising prices beyond geopolitical concerns of course is U.S. president Donald Trump, who analysts earlier this week warned would unleash a fresh twitter storm calling on OPEC to turn on the taps to give American motorists a break at the pump. But Helima Croft, global head of commodity strategy at RBC Capital Markets, pointed out in a research note that "Not only is OPEC showing a willingness to ignore the White House's renewed call to open the taps, but the messaging from the organization is more assertive in saying that US shale producers would be a prime casualty of the NOPEC bill that is being considered by Congress" - a reference to the No Oil Producing and Exporting Cartels Act, which if passed would allow the Justice Department to sue OPEC members for coordinating production. Croft added, "In our view, economic self-interest will continue to trump satisfying Washington and thus, we do not see any extraordinary OPEC production policy changes in the immediate offing." Fuel storage system can also handle liquified natural gas.